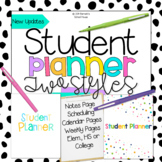 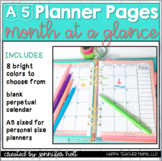 These teacher planner pages are completely editable and colorful. 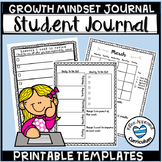 I have also included a student checklist, parent communication sheet, and a grade book page. 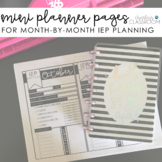 2017-2018 Teacher Lesson Planner Pages for Happy Planner, Binder, Etc. 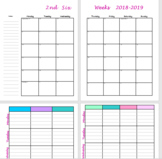 After struggling to find a planner that was organized in a way that met my needs as a teacher, I finally decided to create my own. 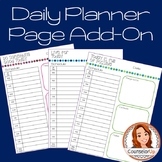 This planner page is divided into three sections - an hourly school day planner, a To Do list and some boxes that I use for either Groups or Notes. 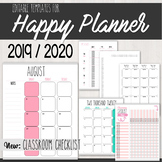 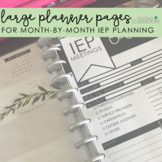 2018-2019 Teacher Lesson Planner Pages for Happy Planner, Binder, etc. 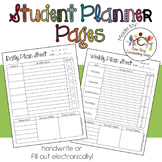 Chevron lesson planner part of chevron organization binder. 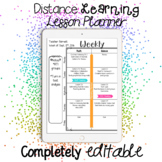 This 1 page product contains the title "Lesson Plans", "Week of ______ to _______", and individual slots for each day of the week. 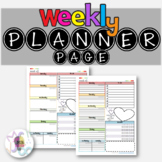 These weekly planner sheets are a great way to help students stay organized throughout the week. 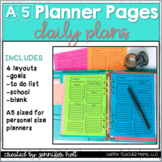 Included in the file is a one page landscape format and a two page portrait format.